Kingsland Drinks are a Manchester based company that specialize in the home delivery of fine wines. They have various special offers available and gift-wrap individual wines or cases. The wines can be delivered to your door or venue. To boost their sales Kingsland wanted us to build an E-Commerce website. So we created the We are Wines website. The brief was to create an attractive, elegant and easy to use E-commerce website for Kingsland. 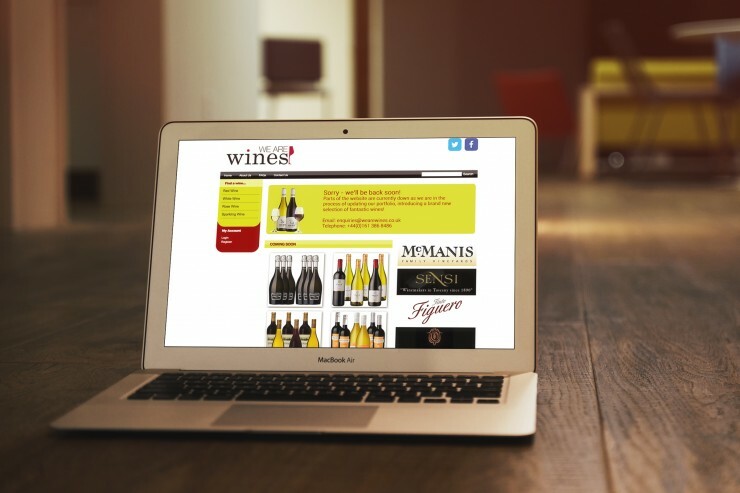 You can visit the website by clicking on wearewines.co.uk and you can browse and purchase a variety of high quality wines. We have recently updated the website adding a new selection of products. Most of all the site is now user friendly for mobile devices.